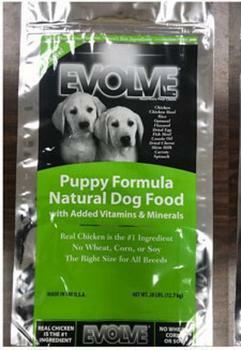 Sunshine Mills is recalling Evolve Puppy, Sportsman’s Pride Large Breed Puppy and Triumph Chicken and Rice Dog Food. The products may contain elevated levels of Vitamin D which, when consumed at very high levels, can lead to serious health issues in dogs including renal dysfunction. Symptoms include vomiting, loss of appetite, increased thirst, increased urination, excessive drooling, and weight loss. The recalled products were distributed in retail stores within the U.S., as well as some export distributors in Japan, Puerto Rico, Colombia, Israel, Canada and South Korea. Customers who purchased the recalled products should dispose of them or return them to the retailer for a full refund. Consumers with questions may contact Sunshine Mills customer service at (800) 705-2111 from 7AM – 4PM (CT Monday through Friday, or by email at customer.service@sunshinemills.com.